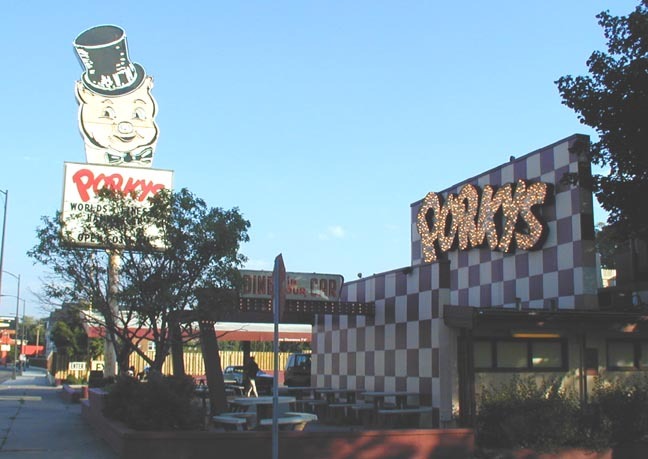 Porky's opened in 1953. 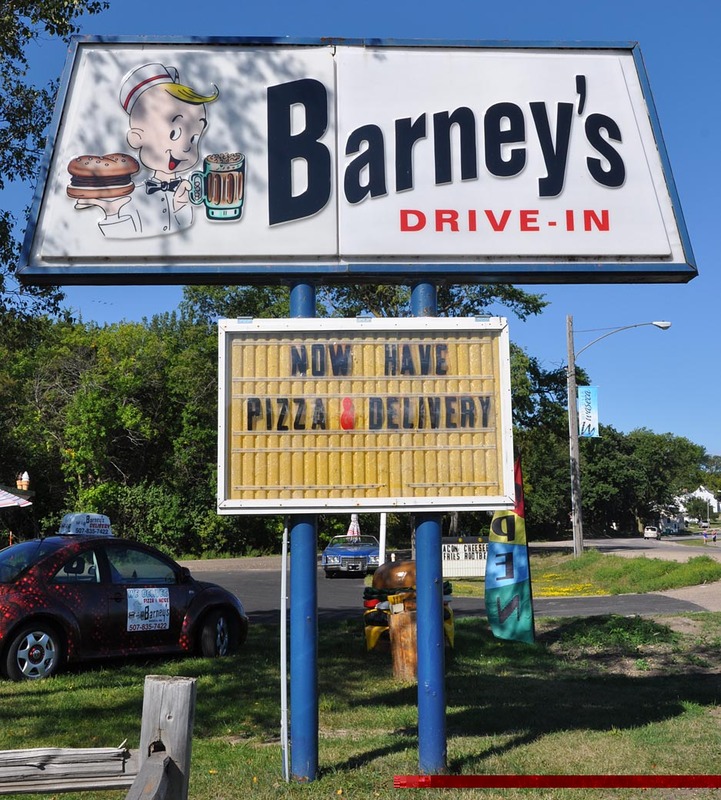 It was the first of four locations that were built in the Minneapolis area in the 1950s and early 1960s. 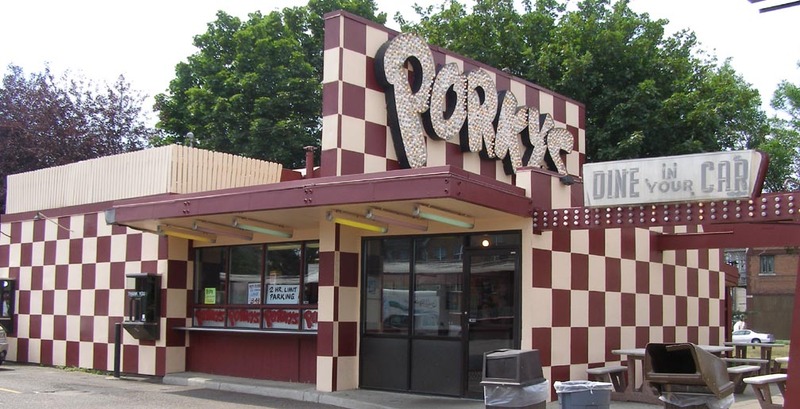 This was the last one still operating when it closed in 2011. The building and contents were sold at auction. The building and three signs were sold to the Little Log House Pioneer Village in Hastings, MN where they are now displayed. 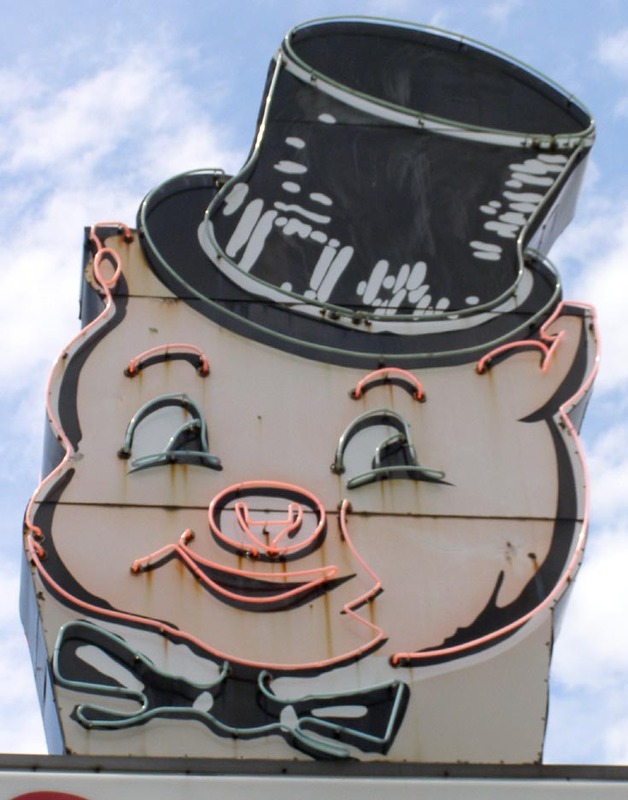 Porky's neon pig sign was not included in the auction. The owners were too attached to it. 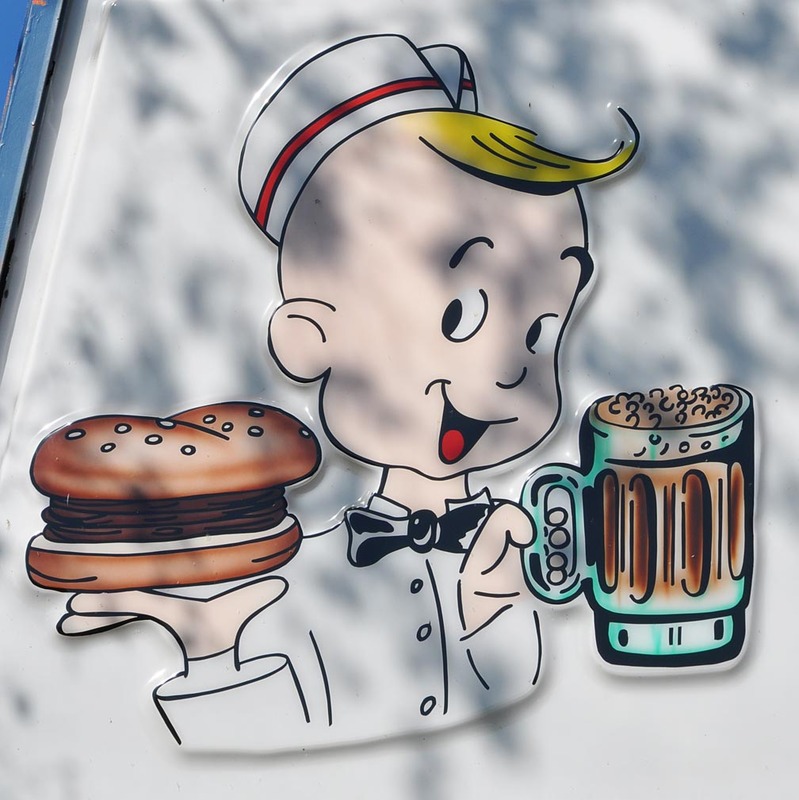 They hope to display it at a food concession at the annual State Fair in St. Paul. The sign is about twelve feet tall and was installed when the restaurant opened. 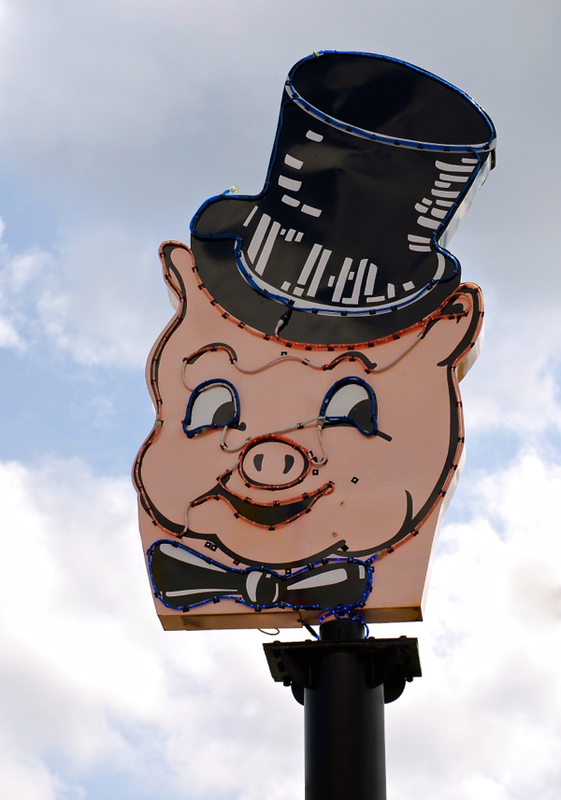 When lit at night, the pig's left eye flashes on and off, creating a winking effect. The Little Log House has a replica sign with LED rope instead of neon. For more, see these websites: 1, 2, and 3.